Animator Willis Pyle died on June 2 at the age of 101. He had worked on Pinocchio (1940), Fantasia (1940), and Bambi (1942) at Disney and later worked at UPA on such shorts as "Ragtime Bear" (the debut of Mr. Magoo) and "Gerald McBoing Boing". Willis Pyle was born on September 3 1914 in Portis, Kansas. His brother was actor Denver Pyle. He was studying art at the University of Colorado and working as an advertising illustrator for a clothing store when he noticed a poster for Walt Disney Studios about hiring animators. It was then in November 1937 that he moved to Los Angeles and began working for Walt Disney. He began work there as an office boy, but soon he was an assistant animator on Pinnochio. Willis Pyle went on to serve as an assistant animator on Fantasia and Bambi. Afterwards he left Walt Disney to work for Walter Lantz. During World War II he served U.S. Army Air Force First Motion Picture Unit in Culver City. After the war he worked as an artist for Vogue and went to work at UPA. He would work on some of UPA's most famous theatrical shorts, including "Ragtime Bear" and "Gerald McBoing Boing". He also worked on the very last Fox and Crow cartoon, "Punchy De Leon". After the era of theatrical cartoons had ended, Mr. Pyle worked on the feature films Raggedy Ann & Andy: A Musical Adventure (1977) and The Mouse and His Child (1977). He worked on several television specials, including Really Rosie, Noah's Animals, Halloween Is Grinch Night, A Special Valentine with the Family Circus, and This Is America, Charlie Brown. After his animation career ended he took up painting. Many of his works were displayed at Montserrat Contemporary Art Gallery in Manhattan, New York City. 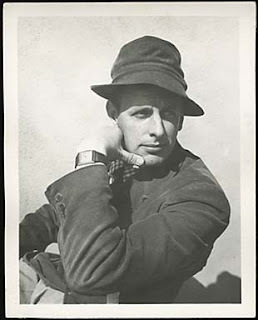 Along with Don Lusk, Willis Pyle was one of the oldest surviving animators from the Golden Age of Animation. He was also one of the most versatile. Indeed, he worked on Disney's animated features (which strove for a degree of realism), Walter Lantz's theatrical shorts (which used more traditional, American "funny animal" animation), and UPA's shorts (which eschewed realism for limited animation). It was this adaptability, as well as his sheer talent as an artist, that allowed him to have such a long career. Indeed, it is not many animators who can boast that they animated Pinocchio, Mr. Magoo, Gerald McBoing-Boing, and the Grinch. Beth Howland, perhaps best known for playing Vera on the sitcom Alice, died on December 31 2015 at the age of 74. The cause was lung cancer. Her death was not made public until May per her request. Beth Howland was born on May 28 1941 in Boston, Massachusetts. She made her debut on Broadway in 1959 in the play Once Upon a Mattress. That same year she made her film debut in an uncredited role as Clem's wife in Li'l Abner. In 1960 she appeared in Bye Bye Birdie. During the Sixties she appeared on Broadway in High Spirits, Drat! The Cat!, and Darling of the Day. In the Seventies Miss Howland appeared on Broadway in Company. In the Seventies she made her television debut in an episode of Love, American Style. She guest starred on Cannon, The Rookies, Bronk, The Mary Tyler Moore Show, and Little House on the Prairie before being cast as Vera on Alice. Vera was neurotic and a bit scattered brained, as well as clumsy. The show proved very popular, and Beth Howland played Vera for the whole of its nine year run. While still appearing on Alice, she guest starred on The Love Boat. She also appeared in the film Thunderbolt and Lightfoot. In the Eighties Beth Howland guest starred on American Playhouse, The Love Boat, Comedy Factory, and You Can't Take It With You. In the Nineties she appeared on Murder, She Wrote; Sabrina the Teenage Witch; and Chicken Soup for the Soul. She was a guest voice on Batman Beyond. She appeared on Broadway in a revival of Company. In the Naughts she guest starred on The Tick and As Told By Ginger. Legendary voice artist Janet Waldo died June 12 2016 at the age of 96. She was the star of popular radio show Meet Corliss Archer and provided the voices of such cartoon characters as Judy Jetson on The Jetsons, Penelope Pitstop on Wacky Races and The Perils of Penelope Pitstop, and Josie McCoy on Josie and the Pussycats. The cause was an inoperable brain tumour. Janet Waldo was born in Yakima, Washington on February 4 1920. She attended the University of Washington. Bing Crosby discovered her after she had won a talent contest. She was signed to Paramount Studios. She made her film debut in an uncredited, bit part in Coconut Grove in 1938. She appeared in bit parts in several movies in the late Thirties, including such films as The Arkansas Traveller (1938), Paris Honeymoon (1939), I'm from Missouri (1939), Unmarried (1939), The Gracie Allen Murder Case (1939), and The Farmer's Daughter (1940). She had more substantial roles in the films Tom Sawyer Detective (1938), Zaza (1938), Persons in Hiding (1939), and Waterloo Bridge. It was with the B Western One Man's Law (1940) that she received her first leading role. She played opposite Don "Red" Barry. She played opposite cowboy star Tim Holt twice, appearing in The Bandit Trail (1941) and Land of the Open Range (1942). She appeared in a smaller role in the film So Ends Our Night (1941). Land of the Open Range would be the last film Janet Waldo would make in the Forties. While she had played bit parts in several films and the lead female role in in three B Westerns, she found stardom in the medium of radio. Miss Waldo made her radio debut in an episode of Big Town in 1941, but her big break would come with Lux Radio Theatre. From 1941 to 1943 she appeared on several episodes of the show. 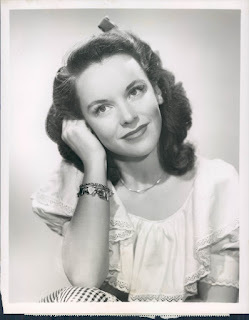 From 1941 to 1945 she was a regular on the popular soap opera One Man's Family as Irene Franklin. She was also a series regular on The Gallant Heart and played the tile role on Lady Of The Press – Sandra Martin. From 1944 to 1954 she played teenager Emmy Lou on the popular sitcom The Adventures of Ozzie and Harriet. She was also a series regular on the shows The Eddie Bracken Show and People are Funny. It was in 1945 that Janet Waldo assumed her most famous role in radio, taking over the title role on Meet Corliss Archer from Priscilla Lyon. In her eight year run on the show Miss Waldo would become the actress most identified with the character, despite the fact that Shirley Temple played Corliss Archer in two films (Kiss and Tell in 1945 and A Kiss for Corliss in 1948). From 1949 to 1950 she played the lead female role on the sitcom Young Love. In her long and prolific career on radio, Janet Waldo also appeared on such shows as Dr. Christian, Mayor of the Town, Cavalcade of America, The Dinah Shore Program, The Great Gildersleeve, The Mel Torme Show, Philco Radio Time, Four Star Theatre, and many others. In the Fifties Janet Waldo continued to work on radio, appearing on such shows as The Halls of Ivy, My Favourite Husband, and Stars Over Hollywood in addition to her ongoing role on Meet Corliss Archer. She made her television debut in 1953 in the I Love Lucy episode "The Young Fans", playing a teenage fan of Ricky Ricardo. Just as she had on radio, Miss Waldo played the recurring role of Emmy Lou on The Adventures of Ozzie and Harriet. She guest starred on The Phil Silvers Show. It was in the Sixties that Janet Waldo began providing voices for animated TV shows. In fact, the very first animated character she voiced would be among those for which she was best known. Miss Waldo voiced Judy Jetson, the teenage daughter of George and Jane Jetson, on the primetime animated series The Jetsons. During the Sixties she went onto voice Granny Sweet in the "Precious Pup" cartoons on The Atom Ant/Secret Squirrel Show, Nancy on Shazzan, Lana Lang on the "Superboy" segments of The New Adventures of Superman, Jenny on The Space Kidettes, Penelope Pitstop on Wacky Races and The Perils of Penelope Pitstop, and Josie McCoy on Josie and the Pussycats. She also provided various voices for such shows as The Flintstones, A Laurel and Hardy Cartoon, and The Fantastic Four. She was a regular on the sitcom Valentine's Day. She guest starred on the shows Saints and Sinners, The Lucy Show, The Andy Griffith Show, Please Don't Eat the Daisies, The F.B.I., Petticoat Junction, and Julia. She provided the voice of Princess Serena in the television special Jack & the Beanstalk. She also provided the voice of Emmy-Lou in Loopy De Loop theatrical cartoons. In the Seventies Janet Waldo provided the voice of Morticia in Hanna-Barbera's animated version of The Addams Family, the voice of Belinda in the animated series Around the World in 80 Days, the voice of Mrs. Anders in the Saturday morning cartoon Jeannie, and the voices of Princess and Susan in Battle of the Planets. She also provided various voices for such TV cartoons as The Roman Holidays, The Amazing Chan and the Chan Clan, Inch High Private Eye, Hong Kong Phooey, The Scooby Do/Dynomutt Hour, and Captain Caveman and the Teen Angels. She also Hollow Log Chief and Traag Child in the English version of the animated feature Fantastic Planet (1973--original title La planète sauvage). In the Eighties Janet Waldo reprised the voice of Judy Jetson for a new series of The Jetsons. She was the voice of Hogatha on The Smurfs. She provided additional voices for such animated series as The Dukes and Alvin & the Chipmunks. She reprised her role as Penelope Pitstop in two episodes of Yogi's Treasure Hunt. She did voice work for the TV animated films Daniel Boone, Heidi's Song, Beauty and the Beast, The Jetsons Meet the Flintstones, and The Canterville Ghost. She provided the voice of the West Wind in the English language version of Unico in the Island of Magic (1983). She reprised the voice of Judy in Jetsons: The Movie (1990), only to have her voice replaced by pop star Tiffany at the insistence of studio executives who though Tiffany would attract a younger audience. Casting director voice director Andrea Romano objected to the change, while voice director Gordon Hunt reportedly insisted that Tiffany sound more like Janet Waldo. In the Nineties Janet Waldo provided voices for the TV films I Yabba-Dabba Do! and Hollyrock-a-Bye Baby. She provided the voice of Edgar's mom in the feature film Once Upon a Forest (1993). She guest starred on the prime time animated series King of the Hill. Her last work was on the video game Wacky Races, where she reprised the voice of Penelope Pitstop. Janet Waldo numbers among the greatest voice artists of all time. Two of her best known characters were teenagers (Corliss Archer and Judy Jetson), but she was certainly capable of other voices as well. Penelope Pitstop sounded like a twentyish Southern belle. Hogatha on The Smurfs was an elderly witch with a voice to match. Granny Sweet in the "Precious Pup" cartoons sounded like a nice, old lady. Janet Waldo was blessed with a mellifluous speaking voice (in real life she sounded a lot like Corliss Archer or Judy Jetson), but it was also a voice that was extremely versatile. Of course, much of Janet Waldo's success as a voice artist was due to the fact that she was a very good actress to begin with. Indeed, on I Love Lucy she was convincing as a teenage girl, even though at the time she was around 32 years old. She was convincing in the B-Westerns she made. Janet Waldo was exceedingly talented, and truly one of the last great voice actors from Old Time Radio and television's early days.